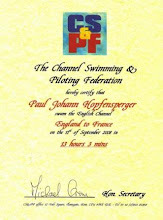 www.HoffySwims.com: My middle name is Johann...!? My middle name is Johann...!? Whats' that got to do with swimming I hear you ask? Well, it's simple really. Picklesmum has tagged me with a new blog game. Apparently I have to post the rules first, so I have cut and pasted hers so as not to get in wrong! 1) You have to post the rules before you give the facts. 2) Players must list one fact that is relevant to your life for each letter in your middle name. If you don’t have a middle name then use a name that you like. 3) When you are tagged, you must write a post containing your own middle name game facts. 4) At the end of your post, you must tag one person for each letter in your middle name. Don’t forget to comment them telling that they are tagged and to read your post to get the rules. Having been "blog tagged" on my council website, I thought I would do this one on my swimming website, so here goes! J is for Joy. 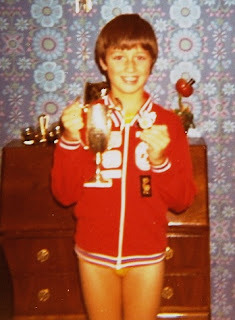 The joy of winning my first ever swimming trophy and medal. 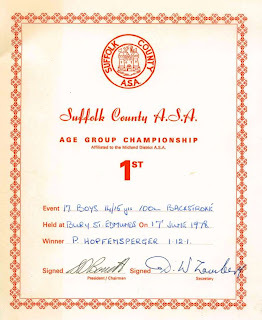 On Sunday July 08, 1973 I was presented with a trophy and medal (pictured above) by the then MP for Bury St Edmunds, now Sir Eldon Griffiths (who incidentally sponsored me for my channel swim in 2007, 34 years later!). It was for the boys 10 and under 1 length freestyle at The Corporation Baths in Bury St Edmunds. 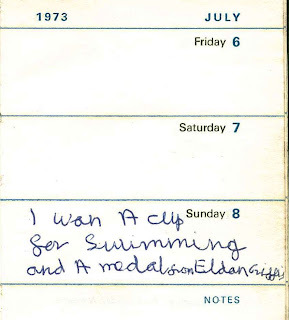 Above: My diary entry from Sunday July 08, 1973. My writing hasn't improved much since then! O is for Overjoyed! 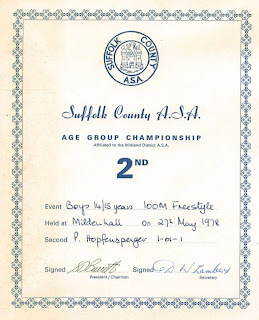 On Saturday May 27th 1978 I became the County Record Holder for 14/15 Years old 100 Metres Freestyle (60.09 seconds) at Mildenhall swimming pool in Suffolk! Above: Report from the Bury Free Press, Friday June 02, 1978. (Click on report for larger version). Unfortunately, I broke the county record in the heat, knocking 1.61 seconds off the previous record, only in the final to touch in exactly the same time (61.1 seconds, 0.2 seconds slower than my county record) as the swimmer from Mildenhall (Fritz Hyde IV). The touch judge, being from Mildenhall, gave the decision to the Mildenhall swimmer! I was the county record holder, he was the county champion even though he was 0.2 seconds slower than me! That's sport i'm afraid, although I didn't feel like that at the time. I was determined to beat him next time around! 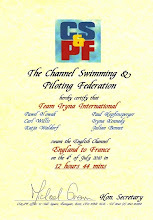 Above: The 2nd place certificate for the 1978 boys 14/15 years 100 Metres Freestyle. H is for Happy. Happy to win my first Suffolk County title! 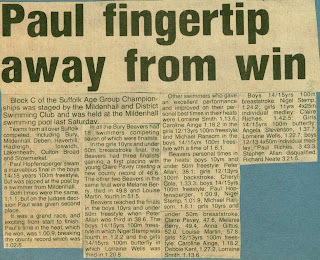 Above: 3 weeks after breaking the county 14/15 100 Metres freestyle record, I became the county 14/15 100 Metres backstroke champion. A is for Another two County swimming titles. 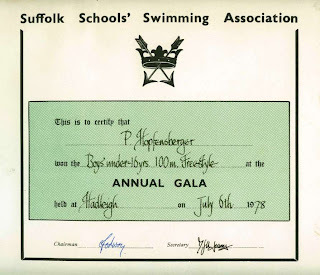 This time, 1978 Suffolk Schools champion, 14/15 years 100 Metres Freestyle and Backstroke. Following on from the above, I was on a real high, and no one was going to beat me at 100 Metres Backstroke or Freestyle again! N is for Nigel. Nigel Stemp, my best friend, swim buddy, great swimming rival, drummer in my band The Teazers, and the best Butterfly swimmer I have ever known! Above: Nigel Stemp (son of my channel swimming coach, John Stemp) in the changing rooms at the Bury St Edmunds Sports and Leisure Centre in 1979 (picture 1) and swimming in Norwich Swimming Pool in 1979 (pictures 2 & 3). N is for Never, ever give up on a dream! Above: Swimming with SuperTankers, July 10, 2007. 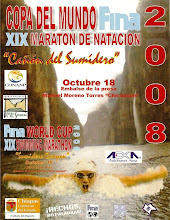 The Day I Swam to France in 13 hours, 52 minutes. Well I think I've spelt JOHANN out in full, in swimming terms at least. I now challenge Mark Robson, to do the same! Well Done Hoffy! Very brave of you to own up to being a Johann too! 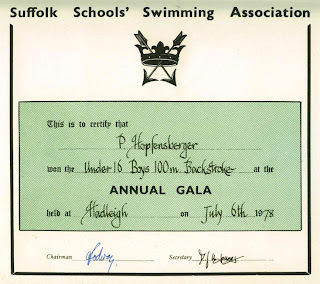 Well done on all those swimming certificates too. 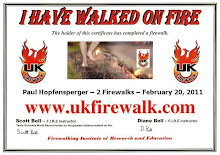 I only got as far as my 1st proficiency before the Leisure Centre burnt down (the first time). Coincidence as Picklessister had to stop swimming there when it burnt down the second time! Thanks PM. I was there the first time also. 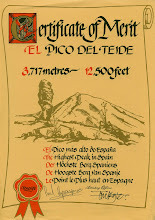 I remember walking up there wondering where we were going to train from then onwards. It was my whole life up in flames at the time. We trained there every day. I have all the newspaper cuttings on it in my scrap book. We had to train at Lakenheath and Thetford for about 2 years I think it was. I couldn't believe it when it burnt down the second time! I tried to get it re-built as a 50 Metre swimming pool, but most councllors at St. Edmundsbury Brough Council are not interested in sport IMO. Maybe you should give Pickle swimming lessons, she is the only person I know who kicks for all she is worth but either doesn't move AT ALL or goes in the opposite direction. Even her swimming teacher is puzzled by it! Mmmmm. Intereseting one! I could take a look, but I am not a qualified swimming teacher. Just years of experience. I did used to coach the beginners at the old Bury St Edmunds Swimming Club before it became WSSC though. I taught my children. Let me know when she next swims, and I'll see if I can see what is going on. Well...I was searching Google looking for old mates from the early 80"s and came across your blog. Lost in touch with an old mate Kevin Stemp and when I searched came across your site. 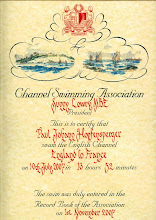 Great to hear that you swimmed the channel...what an achievement! I think years ago in the early 80"s we all hanged out together. Tuesday night discos at The Priors!! Hi Mike - I apologise but I can't remember you! I have Nigel's phone number if you want. 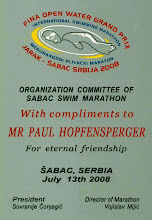 E-mail me at Paul@HoffySwims.com and I will e-mail it to you.